Watch new Get Santa movie trailer! Santa’s got himself on the naughty list this year! There’s not long to go before Christmas and poor old Santa has got himself in a spot of trouble! In his new movie Get Santa, Father Christmas crash lands in London just days before the big day and needs the help of Tom and his dad to get back to Lapland! 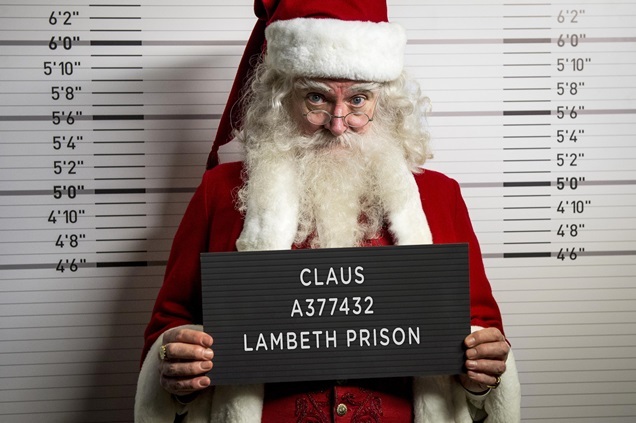 But he gets himself arrested and thrown into prison when the Police think he’s just pretending to be Santa! It’s up to Tom and dad Steve to break out Santa and save Christmas! We think this film looks pretty hilarious – and it’s out on December 5!